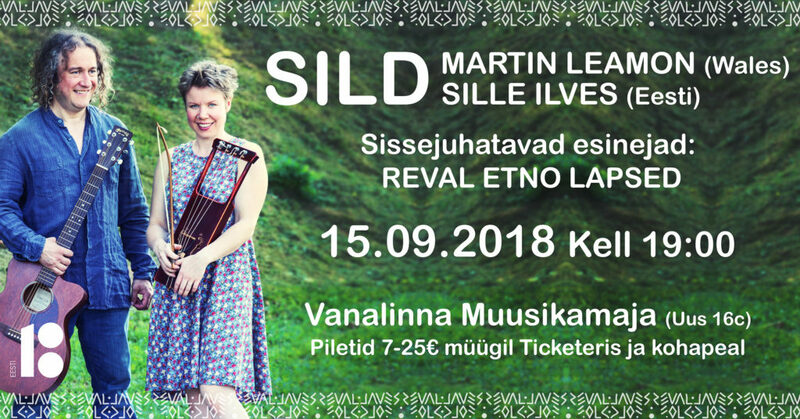 Reval Folk has the honour of inviting everyone to the opening concert of our second season with an Estonian-Welsh duo “SILD” (Sille Ilves and Martin Leamon). The event will take place on the 15th of September at 7pm. The evening will start with a performance by children who participated in this summer’s international Reval Etno music camp in Rõuge. There will also be a surprise guest! The opening concert will take place at the cosy Old Town Music house in Tallinn (Uus st 16c). The evening will finish with a folk jam session, which we plan to continue after all Reval Folk concerts this season. Feel welcome to bring your instruments! Get your tickets from: https://www.ticketer.ee/reval-folk-sild-ja-reval-etno-lapsed . Presale tickets cost less! It is also possible to buy tickets on location. Pre-schoolers (until 7 years of age) get in for free. The doors of Old Town Music house will be open from 6pm for having a cup of tea of coffee at our lovely café “Koloniaal” and for talking with friends. Children are welcome to play and sing throughout the whole concert on the second floor of the Music house with Oliver Kõrre in the Children’s room. With this concert Reval Folk also celebrates Estonia’s 100th birthday. 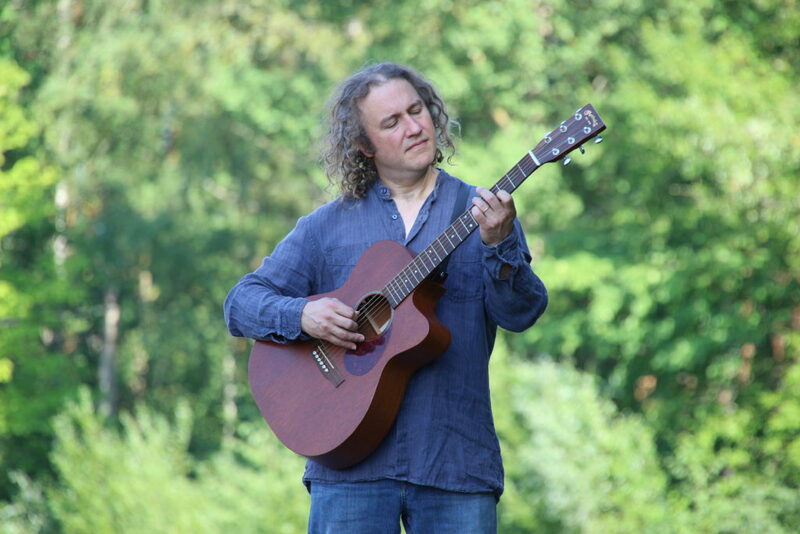 Martin Leamon is a musician from Gower, Wales. He cut his teeth with various bands from Swansea playing hundreds of gigs throughout South Wales and western England. One of these bands, Boys From The Hill, played in Viljandi Folk Festival 2001. He currently lives in Setomaa. 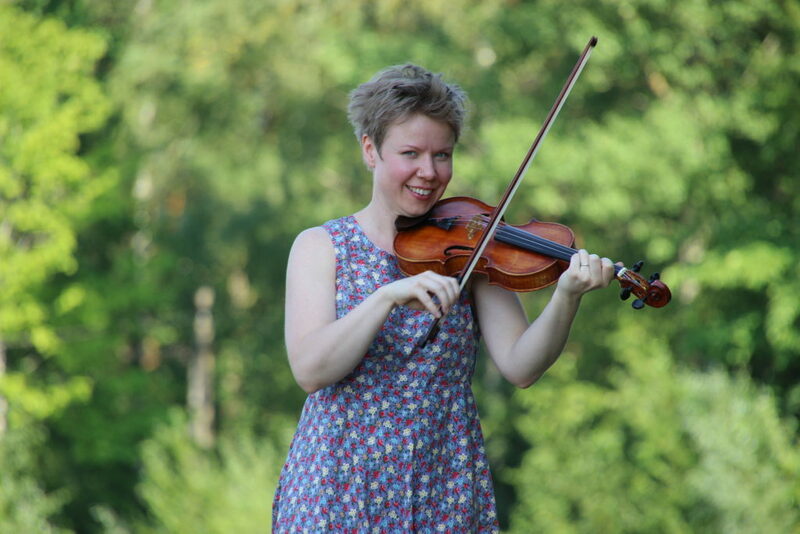 Sille Ilves is a musician from Karksi-Nuia, Viljandimaa. Having survived the Soviet music school system she spent many years earning her stripes playing throughout Estonia. Sille met Martin at Viljandi Folk Festival 2001. Sille lived in Wales for 14 years, immersed in the culture. She currently lives in Setomaa. Sille Ilves & Martin Leamon perform as a duo SILD, in addition they have always played with other musicians in various configurations, formal and informal. SILD recorded two albums for Fflach:Tradd record label. They also recorded with Julie Murphy for the prestigious Smithsonian Folkways label in the USA. Sille has recorded a unique solo record, of hurdy-gurdy music from Wales, and a ground breaking solo kannel recording of Estonian songs. trendy popularity, liberated from the need to be seen to be fashionable. Following their resolutely old-school approach to the art of the traditional musician and avoiding the beauty contest of social media they keep a low profile online. Their music rejects the hyperactive, click-bait, attention disorder which affects so much modern music in favour of the direct, seeking always to communicate the simple honesty and beauty of the music upon which they draw. Songs of love or loss, ecstatic poetry hundreds of years old, whirling dance tunes nimbly conveyed, all flow together in a SILD concert to impart the deep emotions of our common inheritance; the human condition as expressed by innumerable, anonymous souls. Martin Leamon – guitar, bouzuki, different squeezeboxes. This project is supported by: The Ministry of Internal Affairs and the National Foundation for Civic Society, Estonian Cultural Endowment, Estonian Academy of Music and Theatre, Tallinn city, Dipri Printouse, Veebimajutus.ee, café “Koloniaal”, Bioneer.ee, Tallinn in Your Pocket. Partners: Estonian Academy of Music and Theatre, Old Town Music House, EV100, Estonian Folklore Council, The Union of Estonian Music Teachers, NGO Fenno-Ugria, Estonian Kannel Union, The Folk Dance Club of Tallinn, Tallinn City, NGO Fenno-Ugria, Ticketer.ee, Tallinn city.